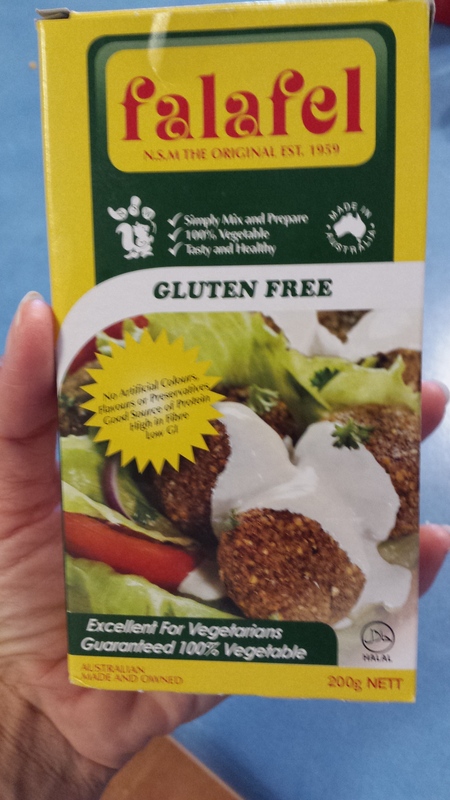 I have mentioned this falafel mix before. Tasty, inexpensive, quick to prepare and suits all of our allergy requirements so we often have an ’emergency’ packet in the pantry. The kids requested sausages for dinner, but I knew we weren’t going to get home from swimming lessons until an hour after our normal dinner time, so I didn’t fancy standing out at the bbq when I would have 4 very tired and hungry kids! So at lunch time, while the 2 little ones were resting I quickly made these ‘sausages’ and baked them. Then it took me just a minute to reheat them when we got home and serve them along with a simple finger salad. 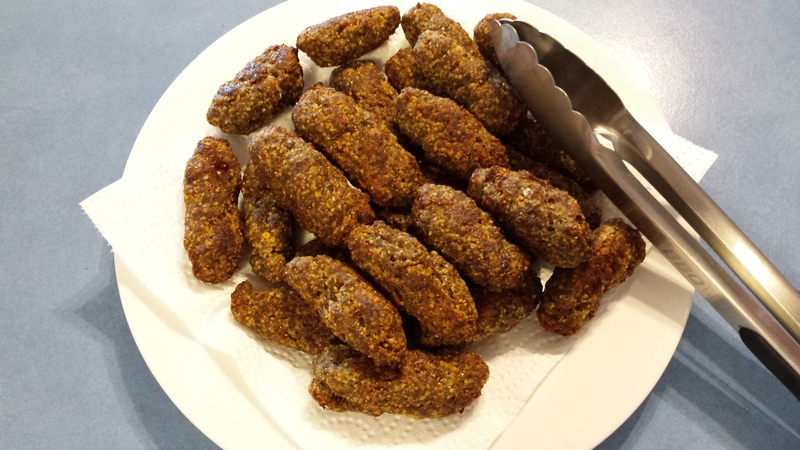 They turned out really well – and much healthier than normal sausages!! Place the dry falafel mix in a large bowl, add water and mix well. Allow to sit for 5 minutes. Add the mince and sauce to the wet falafel mix and use hands to mix until very well combined. 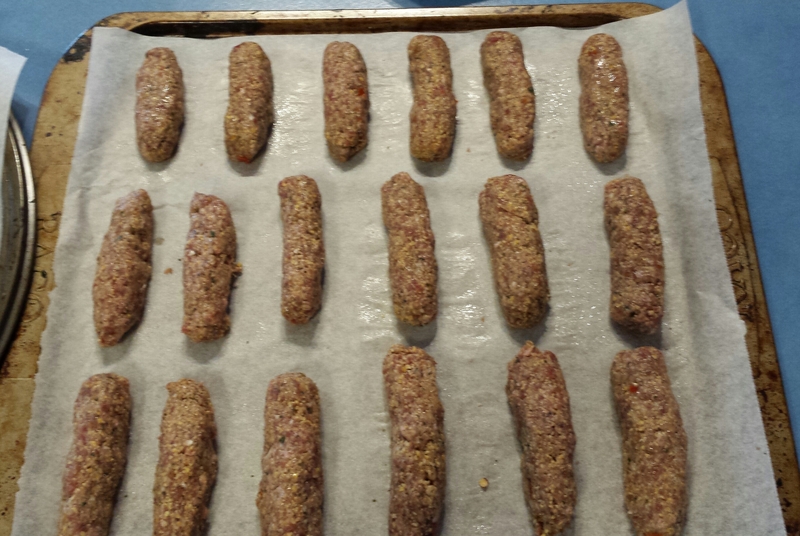 Form in to little sausage shapes and place on lined baking tray. Spray with a small amount of oil and cook in a preheated 200C oven for 20 minutes, before turning and cooking for a further 10 minutes. Makes about 25. They freeze and reheat well too.